Gothic armor was first crafted in the regions of Germany and the Holy Roman Empire sometime during the late Middle Ages, around the 15th century. This Full Set Gothic Armour is a perfect example of what this protective armour would have looked like. 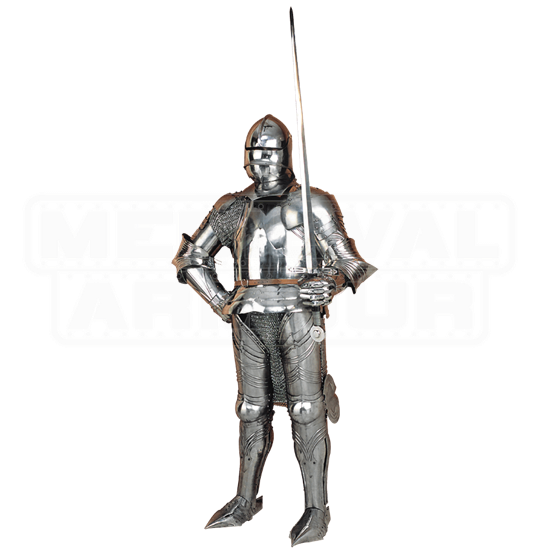 Gothic armour was most noted for possessing round curves and decorative fluting, taking many of its design elements from gothic design and architecture. These design elements were more than just decorative, though, as the fluting on this suit of armor helps to improve the armors strength, making it more resistant to bending and impact. Fluting can be found on this armors arms and legs, although the breastplate is left simple and unadorned. Bits of mail act as additional protection, particularly around the waist and shoulders, were the plate armor as at its thinnest. 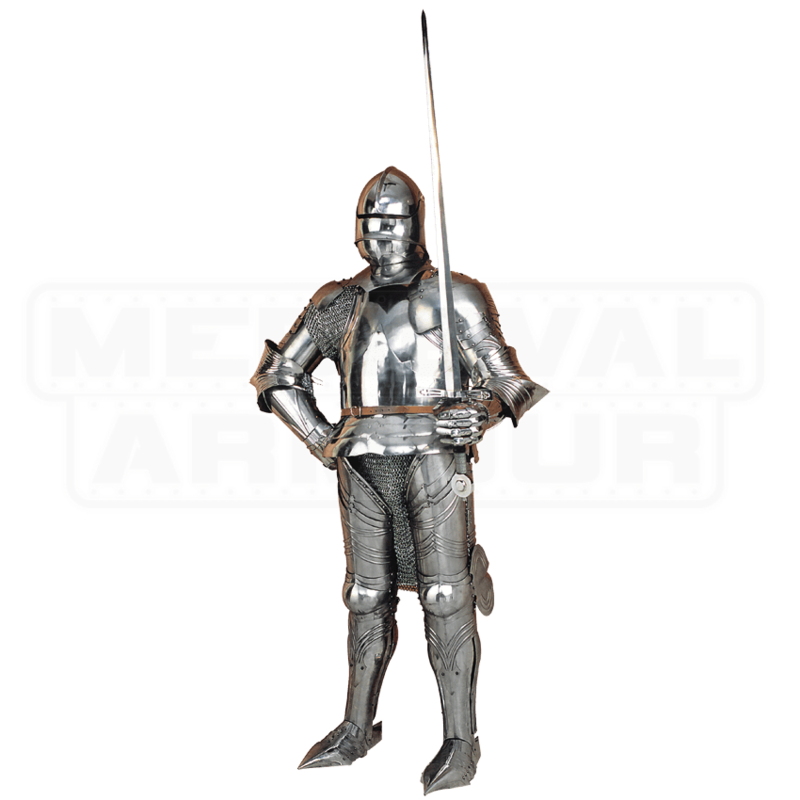 This suit of armor includes full protection for almost the entire body, including a breast plate and a back plate, as well as full leg armor and arm armour. Included with armour is a sallet helm, which completes the suit of armor with a historically accurate touch. Please note that this includes only the suit of armor, as the sword is not included. The armor is crafted from quality steel and other materials, including leather, and is worn using a series of buckles, straps, and closures. The best part about a suit of armor like this Full Set Gothic Armour is that when worn properly, its nearly impenetrable by most weapons, which means that it makes for a great suit of armor to wear when going into mock-combat, as well as a fantastic display to set up on a stand in your own home!